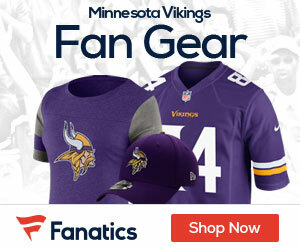 The Vikings, true to their usual form, seem behind schedule compared to the rest of the teams when it comes to signing their rookies. On Friday they did get started, however. Second round pick Kyle Rudolph, sixth round pick Brandon Fusco, and seventh round pick D’Andre Reed all signed their rookie deals on Saturday. 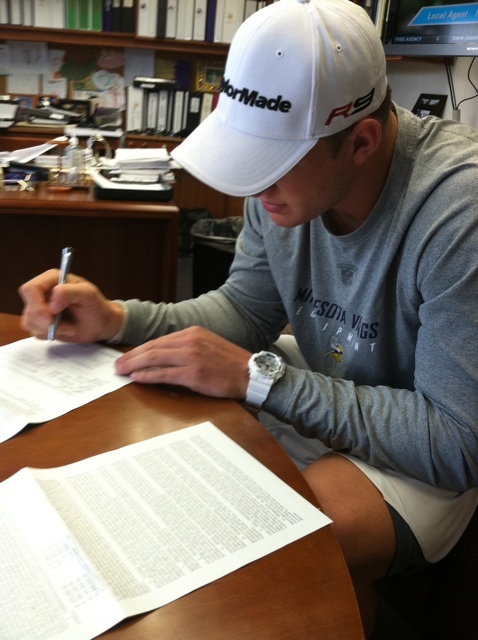 More will surely come soon, and all eyes are currently on Christian Ponder. 4:00 p.m. on Sunday is the deadline for reporting to training camp in Mankato. Also, linebacker Erin Henderson signed his restricted tender on Friday. I think the rookie salary cap has made it much easier to get get their draft picks into camp on time. I don’t know what the deal is with the Vikes always late getting this stuff done. This should have been top priority since there’s new coach’s and a new playbook to learn in a very short time. C’mon Vikes, get with it!!!!! Make it 4 now. Ponder signed his contract. Did you see the terms Norse? They said it was a 4 year deal, but didn’t release any further details. thanks guys. I think Gabbert got 12 million so that sounds about right. Drew Rosendouche must have been busy. Yea he is garbage, I think it’s weird that so few players care for the situation the are brought into, as long as they are getting paid good.